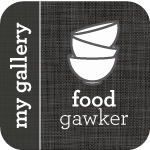 A week after moving across to selfhosting at www.butcherbakerblog.com I’m back at the old blog domain temporarily. Turns out all you lovely blog readers meant I exceeded bandwidth within a space of a week! My hosting company won’t upgrade my account outside office hours so the new blog won’t be back until Monday. Hmm maybe a sign I need to change my hosting company. Once the new domain is back up and running this blog will automatically redirect. Sorry for the faff! If you’re looking for a recipe on the new blog this weekend email me at julesatdit@gmail.com and I’ll email you the recipe. Writing for Marks & Spencer. Teaching myself how to decorate cakes. 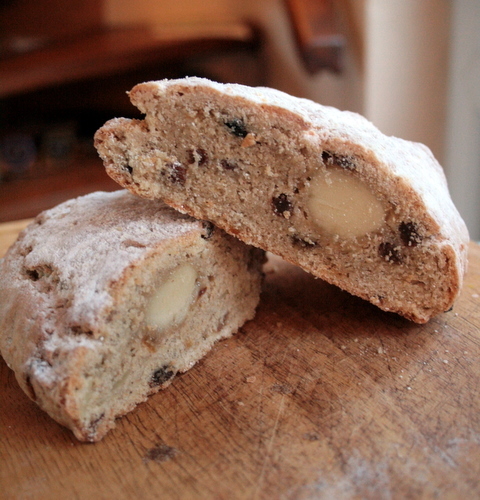 I’ve made various stollens over the years but always come back to this recipe as it’s the stollen I recognise. I spent some of my childhood growing up in Berlin and remember the Christmases there with fond memories. Nothing compares to their Weihnachtsmarkts of which there is over 50 spread all over the city. The smell of the glühwein, gingerbread, bratwurts and kartoffelpuffer intermingled with the crisp, cold winter air and, if you were lucky, the odd fleck of snow. 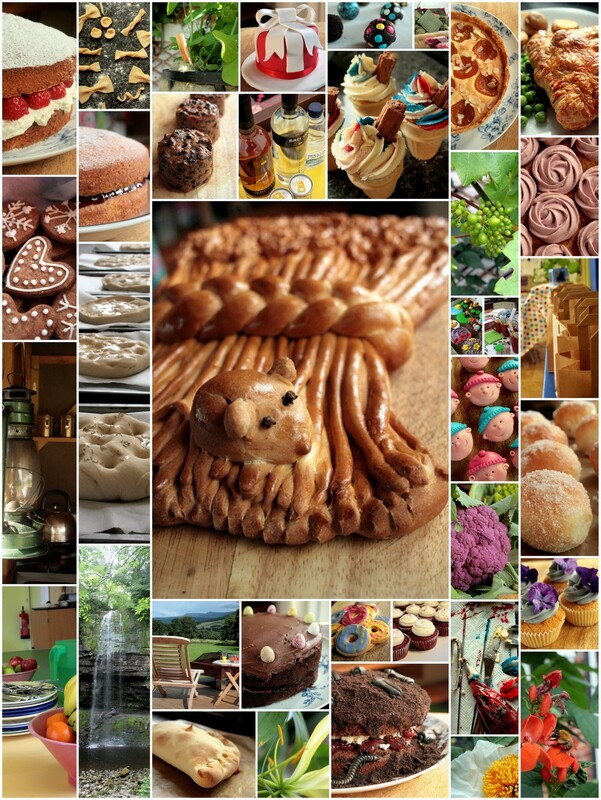 As you can imagine food is quite important to us over the festive season. Some of these foods have traditional or nostalgic connections and some are just because they taste so good. 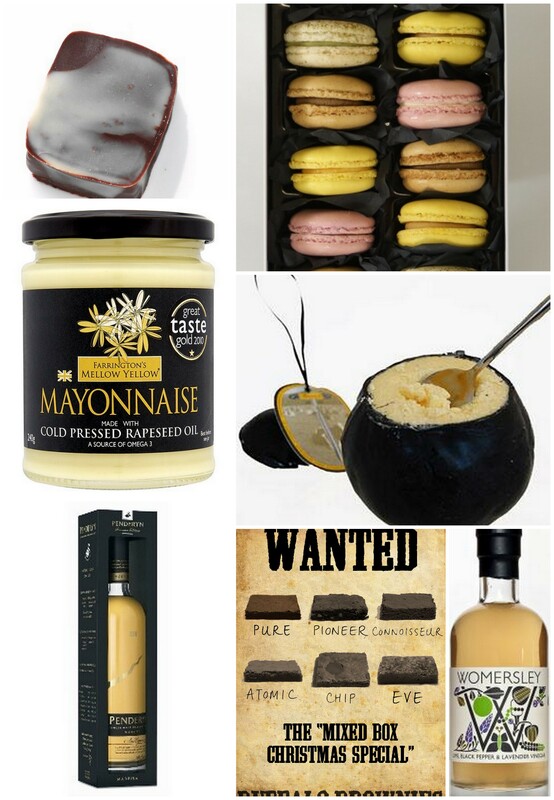 Many of these suggestions below will be great on your festive dinner table or will make equally good gifts. To see what I recommended last year see this blog post. 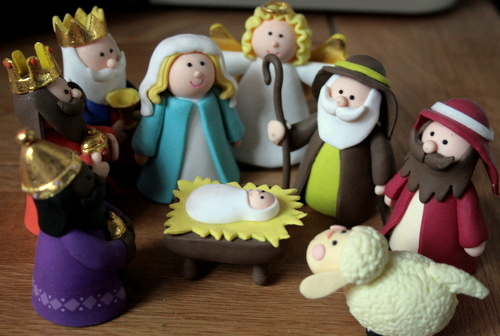 With only *whispers* 2 weeks left until Christmas. It’s fair to say Christmas is a hectic time of year for me and the business. Today is my first day off in two weeks and from tomorrow will not be stopping until Christmas Eve. Hubs’ & parent’s presents are sorted, as for everyone elses? Thank for the lord for the internet and Derby Westfield opening late in the run up to Christmas. I will admit I’m a cookbookaholic, but it takes a lot to impress me with a cookbook. 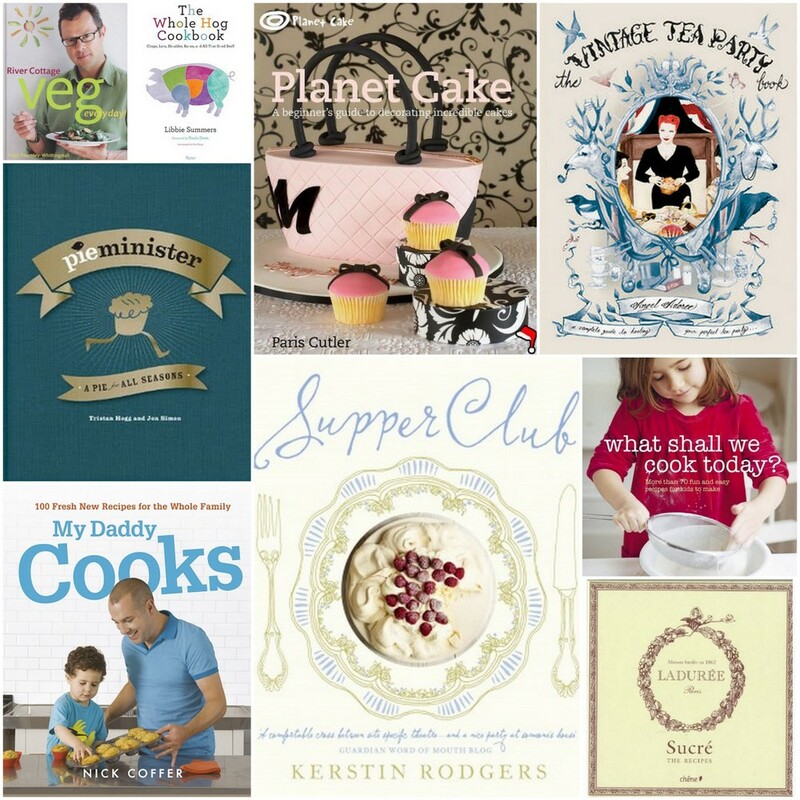 If you’re looking for a great Christmas gift this year here are my top cookbooks of the year. Go here to see last year’s selection. This project started a couple of months ago when I promised one of my evening classes I would teach them how to decorate Christmas cakes. Today I finally finished decorating them. I really enjoyed this project and plan to given them away as presents, but right now don’t know which one I’m going to keep for us as I love them all for different reasons. I have so many other decorating ideas, but only made 6 cakes so the other techniques will have to wait. 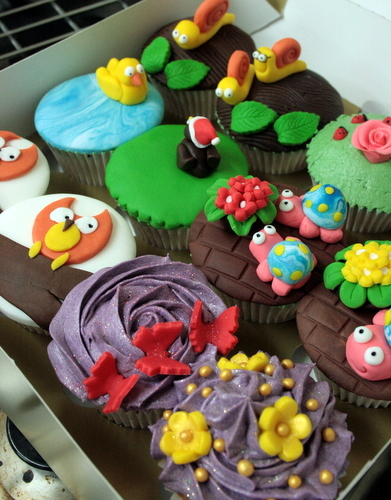 They may be small cakes, but they still take a while to decorate. The four cakes covered in sugarpaste all use the covering method you can find on The Pink Whisk’s blog. I also brush the cake lightly with freshly boiled water to help the icing adhere. Usually I cover the board then cover the cake, this is personal preference. You don’t have to cover the boards at all, but I find it looks neater and I have a particular aversion to the Christmas themed foil boards. To stick the sugarpaste/sugar florist paste decorations to the cake I use either gin or vodka as it’s quick drying, less likely to stain and sticks well. You can also use water, but I find gin/vodka works better. All of these designs are simple and can be easily replicated. 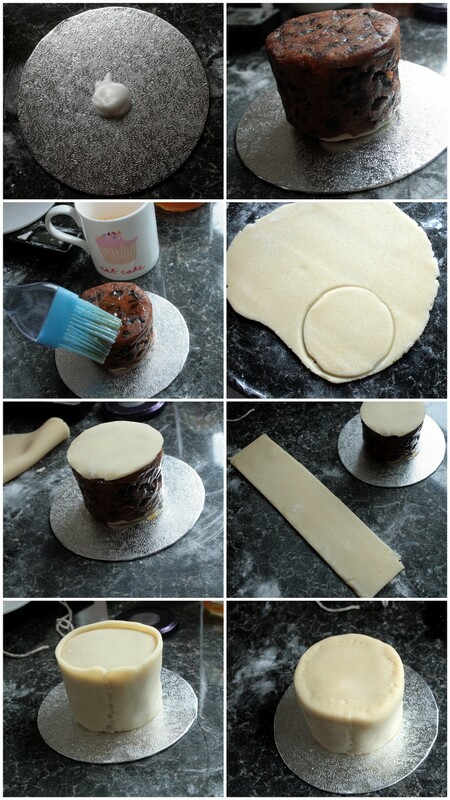 No special equipment needed apart from maybe the odd length of ribbon and a piping bag. 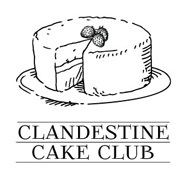 The cakes were made using one of my favourite recipes, steeped in Sloe Gin, then covered in marzipan over a week ago. 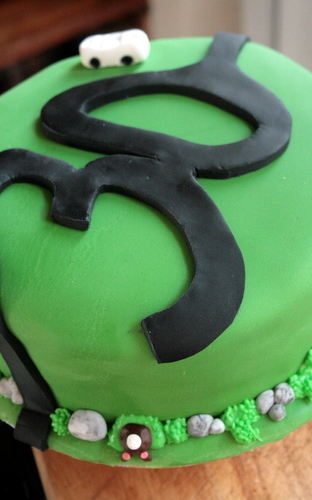 This is probably my favourite cake. 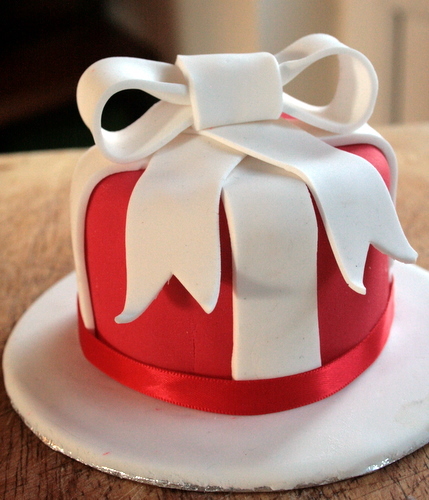 It is simply covered in red sugarpaste then decorated with a bow made from sugar florist paste. This is a type of modelling icing that has a finer, stretchier texture and allows you to roll it a great deal thinner than sugarpaste. It also sets very hard. Icing flowers you see for sale are made from this and while yes it is edible it’s used more for decoration. I love working with sugar florist paste. Unless you are going to be using a lot just buy white florist paste and colour your own. For those of you who watched the second series of Great British Bake Off will be familiar with finalist Holly Bell. I was a fan of hers from the first episode because she’s local to me, has a similar obsession with Bakewells and (according to insistent family & friends) we are very similar look wise and mannerisms. Yes, I’ve also been known to get the tape measure out while baking, don’t judge me. I’m a perfectionist. Holly has recently started cupcake and bread making courses at the lovely Bridge 67 Cookery School in Smeeton Westerby near Market Harborough. She invited me along to try the course. The cookery school is based in cute little house on the farm with the kitchen downstairs and the dining room upstairs. It almost felt like we were in someone’s house. I liked that the ovens were (rather nice) domestic ovens proving if you could cook it there we would be able to cook it at home.